(Reuters) - Scared by looming U.S. anti-cartel legislation for the oil industry, the Organization for the Petroleum Exporting Countries and its allies such as Russia have decided against creating a formal body, at least on paper. The draft says OPEC and Russia will discuss creating "a mechanism" rather than "an organization" when they meet in April 17-18 in Vienna, calling for the creation of an "Alliance of Oil Producing Countries". "It looks genuine. It's also been updated since," an OPEC source said without giving any further details. Russia's energy ministry declined to comment. The objectives of the alliance are listed as setting up "an intergovernmental platform to facilitate dialogue" and "further strengthen the collaboration in the formulation of policies aimed at promoting oil market stability". The objectives are due to be achieved by promoting a better understanding among its members of energy market fundamentals as well as "permanent dialogue among oil producing countries", according to the document. 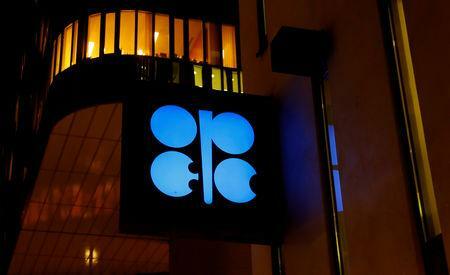 Russia is not an OPEC member and has said it does intend to join the organization on a permanent basis. OPEC and Russia jointly produce more than 40 percent of the world's oil.